This next car came to us as a tip from Michael B who writes: With the Grand Tour now making a splash I'm reminded of one of the prettiest Grand Tourers ever in my opinion. This one has been for sale for a while in my neck of the woods. 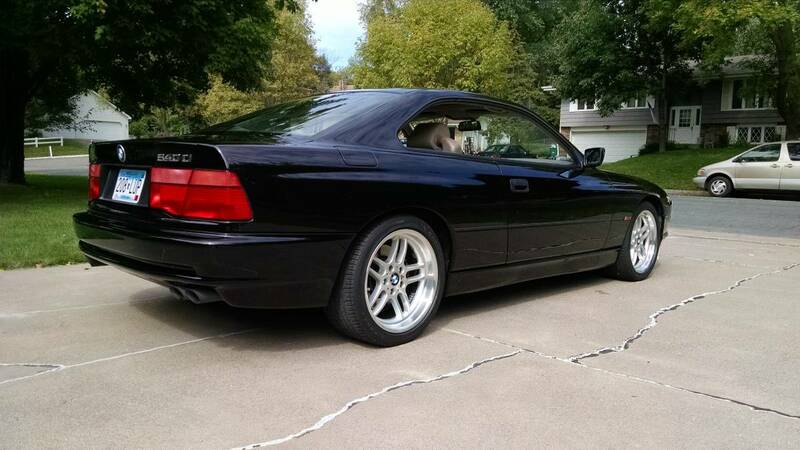 Find this 1997 BMW 840CI offered for $9,950 in Buffalo, MN via craigslist. 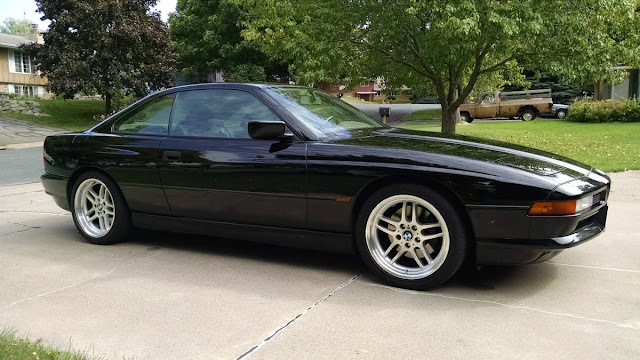 If you are looking for a good show about cars, the new Grand Tour on Amazon (starring those Top Gear guys) is a decent replacement for the old top gear -- in the same way that this BMW 840Ci is a great replacement for the E24 6-series that it superseded. It isn't as raw as the original, but it might be worth a second look. On one hand, the V8 is the better engine for these, since it makes nearly the same power, but nets much better fuel economy. The downside is that they only came with an Automatic transmission. A 6 speed can be sourced from a 540i, so not all is lost. This car was (and might still be, I don't know the Cd of all the current cars) the most aerodynamic car BMW made. The coefficient of drag was .29, same as the M1. Hot damn this is such a good looking car no matter where you look at it. Maybe someday when I am older and have spare time I will take one of these under my wing as a project and drive the hell out of it. You say 'Low cost Grand Tourer' Presumably you are talking about the purchase price; If looking for one of these, best to make sure the previous owner had the money and inclination to keep it properly maintained. Apparently these things are not in the least low cost to operate and maintain. Look for full service records! Bob, like a lot of vehicles it seems, the tales of this car's running costs are highly overstated, provided the owner has a modicum of inclination for turning their own wrenches. The main reputation you describe came from the 850----because it was basically two inline 6's grafted together, it had two of a number of expensive part. Is the Nikasil still a problem with these BMW 4.0 v8? Has the sulphur been phased out?